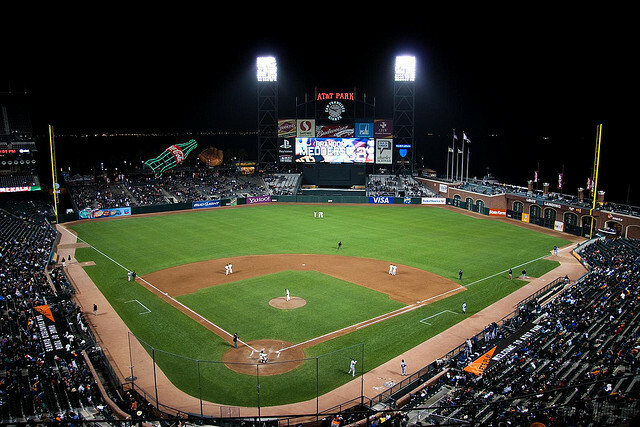 Whether it's baseball, football, basketball, or ice hockey, you probably want to be able to get to the game of one of your favorite Bay Area teams and enjoy the it without having to deal with rush hour traffic, expensive parking prices, and potential DUIs. Let us at San Francisco Limo remove those hassles. No worries about having a few beers and enjoying the game when you ride with us. Have us along on your tailgate party. Once the party's over, you will be transported and dropped off at the stadium entrance. Our chauffeurs will then be waiting there for you once the event is over to get you home safely. We have a huge selection of fleet to choose from-- including limo sedans, stretch and Hummer limos, and party buses to accommodate the size of your party. Score a luxury ride with us to your next sporting event. Whether it's to watch the Giants, A's, or the Niners, we've got your seat ready and your beer ice. Now all we need is you and the gang. Call us at 415-801-3355 or fill out the form to the right and we'll be ready to get you "hooked up".